Panasonic gave us a sneak peek at its PT-AX100U 720p LCD home theater projector it will be introducing at the Custom Electronic Design and Installation Association (CEDIA) Expo starting tomorrow in Denver. It looks like you get a lot of projector for your $2999, with its 220-watt lamp cranking out 2000 lumens of brightness. It also has an HDMI input and a Dynamic Iris that's able to adjust itself 60 times per second, giving its images a claimed 6000:1 contrast ratio. 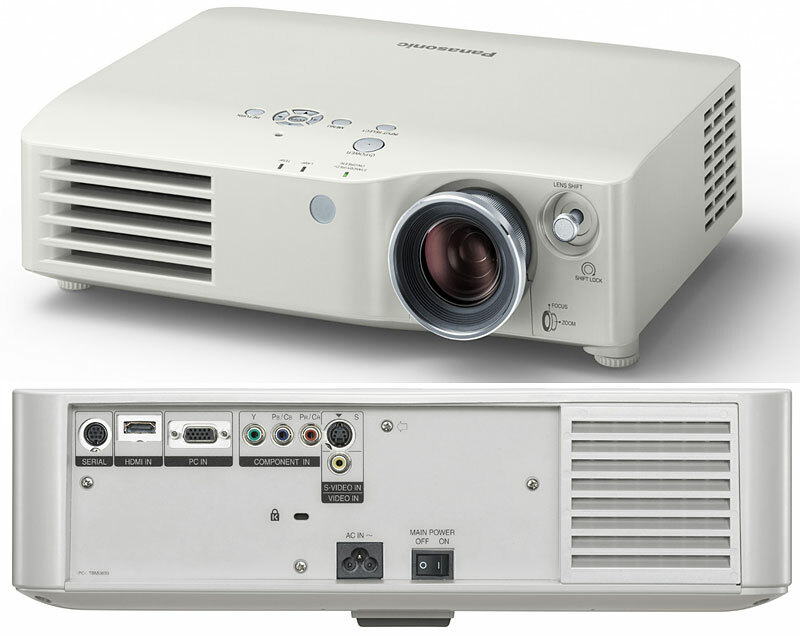 Panasonic also uses Light Harmonizer image technology which adjusts the projector's brightness according to the lighting in the room. Eliminating my last objection to LCD projectors, the company made an effort to kill that "screen door effect" with its Smooth Screen technique, using what it calls "Crystal Double Refraction" to somehow arrange the pixels so that those gaps in between are eliminated. This I gotta see. The PT-AX100U will be available this week. By the way, stick with Gizmodo and get complete coverage of CEDIA, where our ace reporter and man-about-town Travis Hudson will be jumping all over the Expo in between shots of Jagermeister for the next few days.